Not Sure Whether You Believe in God(s)? Do you believe in god(s)? What's that? You say you're not sure you believe in god(s). It sounds like you might be an atheist. Specifically, it sounds like you might be an agnostic atheist like me. Wait a second! How can you be an atheist if you aren't sure about god(s)? Actually, atheism does not require certainty on the question of god(s). A theist is someone who believes in god(s). When you say you aren't sure whether you believe, you sound like more of an atheist than a theist. An atheist is someone who lacks god belief. For some atheists (i.e., gnostic atheists), this means that they do not believe and feel confident that there are no gods. Other atheists (i.e., agnostic atheists) do not believe in gods but make no claim about knowing with certainty. Some may even go so far as to say that they aren't terribly concerned with trying to know because it is not relevant to them. But if you aren't sure you believe in god(s), why couldn't you just as easily be an agnostic theist? You could be an agnostic theist. But in order to do so, you'd need to believe that some sort of god or gods exist. You could be unsure about the truth of your belief, but you'd need to have the belief. It does not sound like you do, as you've already indicated you aren't sure you believe in god(s). Not knowing whether you believe in god(s) seems far closer to lacking belief than it does to belief. So if you are not sure about whether you believe in god(s), you might be an atheist. But even if you are an atheist of some sort, you do not have to identify yourself as an atheist. So it isn't like learning that you might be an atheist has to change your life in any appreciable way. 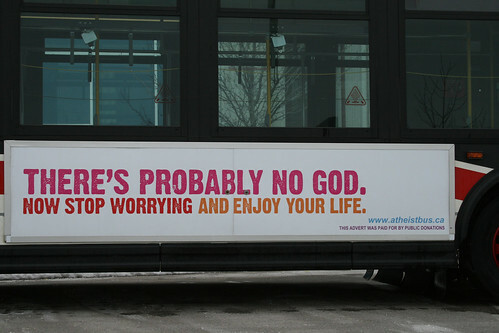 Give yourself some time to learn about atheism. You might discover that much of what you've been told about it isn't true. And see if you can meet some atheists. We tend to be fairly different from how the religious describe us too.